The Baja Bean should have all their remodeling complete by our arrival in October. Can't wait to see the improvements. 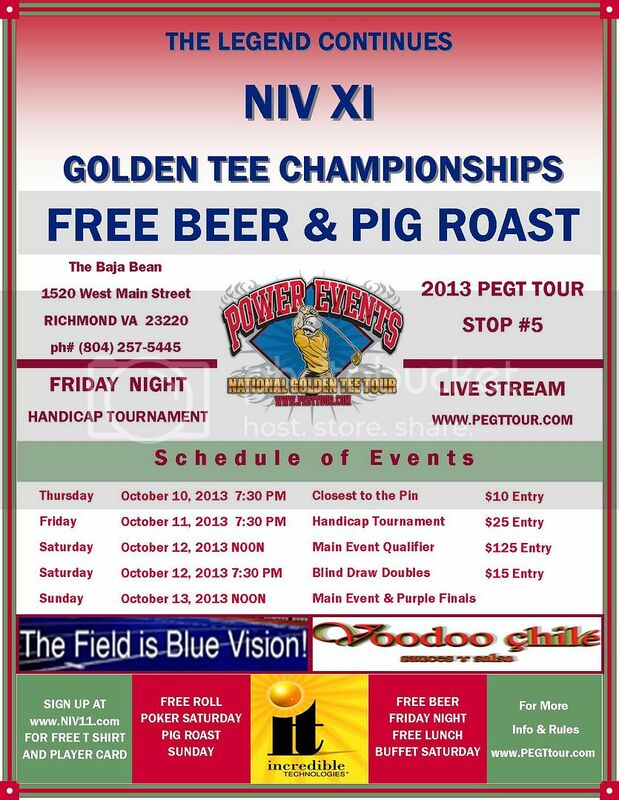 Saturday October 12th Noon - Registration Ends for Main Event NIV and Player Auction will begin. Keep in mind that any money they win in the Poker Tournament, half of this money will go to the Purple Bracket.